Commissioners with the Port of Columbia County say they are staunchly opposed to allowing the transport of "heavy, sinking oil" through Columbia County, but will seek additional community input before voting on oil restrictions. Port commissioners were slated to re-examine a lease amendment request Wednesday, Nov. 28, from oil company Global Partners LP after a previous discussion two weeks prior. The lease amendment would lift some of the currently imposed restrictions on the American Petroleum Industry, or API, rating of oil products used, and allow the company to ship a wider classification of oil by rail and barge through Columbia County. Commissioners opted not to vote on lease modifications yet, opting instead to hold a community workshop at a date yet to be announced. 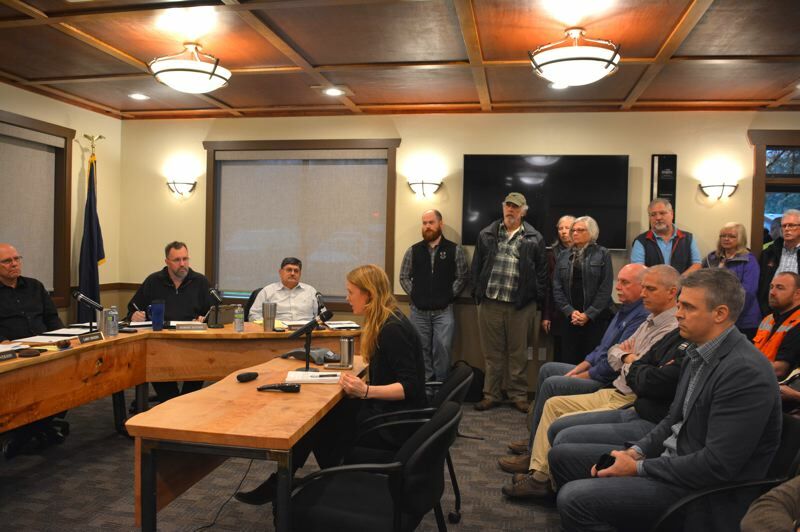 Over the course of just two weeks, a quiet groundswell of attention built after county residents and environmental groups noted that changing Global's lease could have significant safety, environmental and rail traffic impacts on county residents. Global currently holds permits to ship light crude oil and ethanol to its Columbia Pacific Bio-Refinery at Port Westward near Clatskanie. There was no public hearing scheduled Wednesday, but that didn't stop more than 60 people from flooding a meeting room Wednesday at the port office, filling every seat in the room, then lining the walls and spilling out of the building, where many stood in the rain waiting for a chance to give comments on the proposed lease amendment. By Wednesday, commissioners were delivered a petition with 192 signatures from people urging the port to reject Global's request. Deer Island's Tammy Maygra was one of several residents who noted the port never sought public input with a hearing, and hardly provided enough relevant information in its resolutions and meeting materials for the public to ascertain what was being considered. "I don't think the port has done its due diligence," Maygra told commissioners. "It's important that you listen to people. Mistrust has plagued this port for decades. I think today is proof of that." 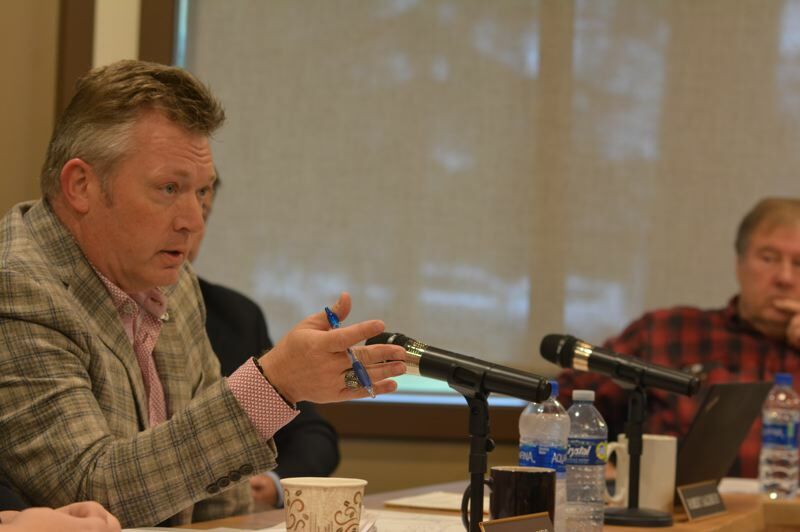 Scappoose and St. Helens mayors Scott Burge and Rick Scholl addressed the port together Wednesday, asking for a delay in lease modifications until the port met with "key stakeholders." Burge said his city is split by a rail line and has concerns about rail traffic. "Our fire station is on the west side and our police station is on the east," Burge said. "When you add a mile and a half train through our town, it closes off every crossing. This means for 15 minutes, while a train passes, half of the citizens don't have access to police and the other half don't have access to fire response." While Global has been adamant that it has no intention of increasing rail traffic beyond its current capacity, Port Commissioner Larry Ericksen pointed out that there are currently just a few unit trains traveling through the county carrying Global's ethanol products. If the company switches commodities to meet current market demands, it's likely rail traffic will pick up. For some, the increase would be a welcome indicator of job growth. Kate Scott of Clatskanie, an employee at Global's bio-refinery, said she and other workers just want jobs and economic security. "It's not like we're horrible people," Scott said. "We want jobs. More and more in Clatskanie, we see antique shops popping up. Who's gonna live off of antique shops?" While port commissioners weren't ready to vote on a range of API, they were firm in their opposition to allowing Global to import or ship any commodity with an API rating of less than 10. API ratings indicate how thick or dense an oil is in relation to water. Heavier oils are assigned a lower API number, while lighter oils represent a higher API rating, said Casey Comer, manager of Clean Rivers Cooperative. Clean Rivers Co-op is a nonprofit spill response organization used by Global Partners in the event of an oil spill. The co-op has a close working relationship with oil companies, including Global. Its board of directors is led by an employee of Global's bio-refinery. Commissioners heard from several people Wednesday who noted that while lighter oils create greater fire and inhalation hazards, "heavy, sinking oil," would create an environmental nightmare if spilled into a river or other waterway. Doug Hayes, executive director of the port, suggested commissioners consider an API range not lower than 17. "We talked to third parties not associated with Global, such as the Coast Guard," Hayes noted. "Commissioners, what I can say is, I like restrictions. I think they bring order. ... A 17.4 or higher, is what I feel confident at."